The African Union, the UN Food & Agriculture Organization (FAO) and the World Health Organization (WHO) organize the first joint International Food Safety Conference this Feb.12-13 in Addis Ababa on the sidelines of the 32nd AU summit. The conference brings together government leaders, senior policy makers, and representatives from international organizations, civil society and the private sector, to discuss key actions and strategies to address current and future challenges to food safety globally. The conference will address, among other topics, the African leaders’ commitment to scale up food safety in the 2030 Agenda for Sustainable Development. Participants will also look into the benefits of investing in safe food, supporting sustainable food systems, the importance of science, innovation & digital transformations for food safety and the role of consumers in making healthy choices. 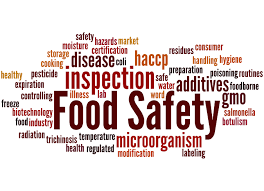 According to WHO, unsafe food causes an estimated 600 million people to suffer from foodborne diseases each year, at a cost of at least $100 billion in low- and middle-income countries. Safe food supplies support national economies, trade and tourism, contribute to food and nutrition security, and underpin sustainable development. As the world’s population grows, the intensification and industrialization of agriculture and animal production to meet increasing demand for food creates both opportunities and challenges for food safety. Climate change is also predicted to impact food safety, as temperature changes modify food safety risks associated with food production, storage and distribution.